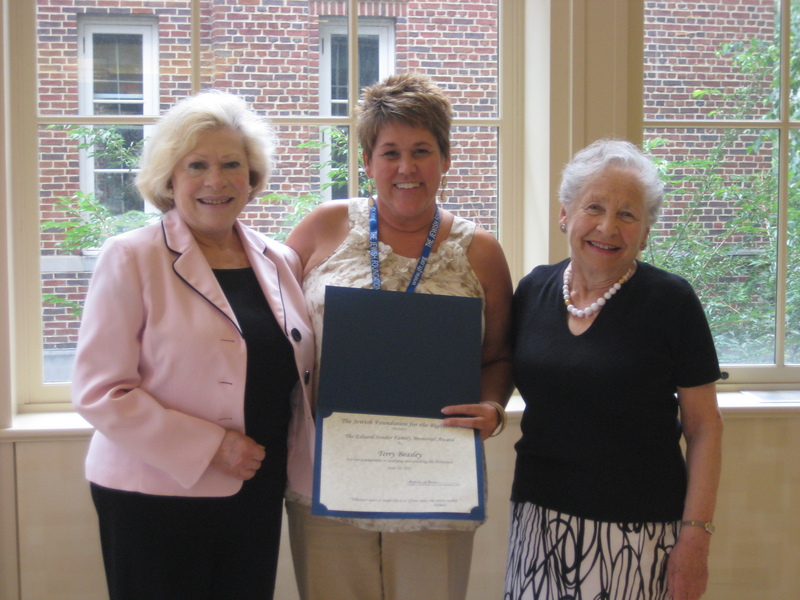 Each year, one participant of the Summer Institute receives the Sonder Award. This award was founded by Johanna Stark and Kate Tarnofsky, two sisters who, as children, were able to leave Germany before WWII began. 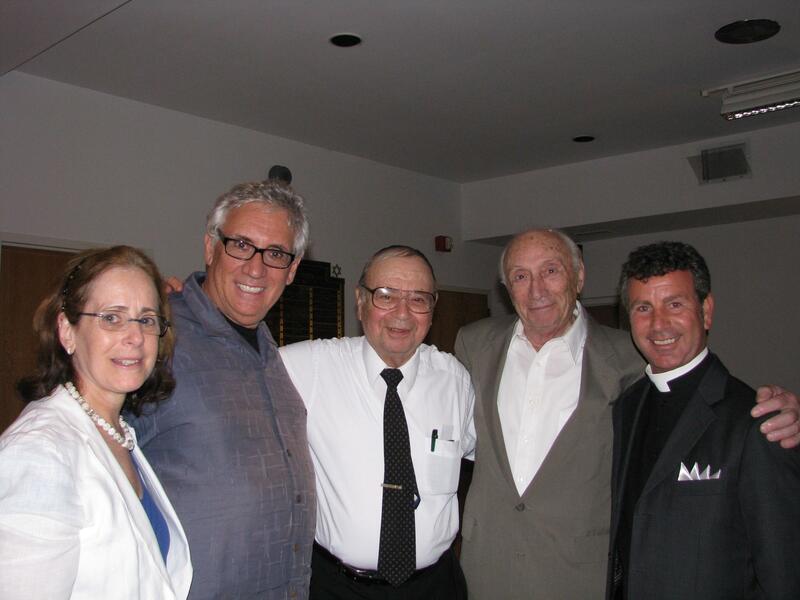 The award is named for their grandfather Eduard Sonder, who they adored. Eduard was not able to leave Germany, and the girls never saw their grandfather again – he was killed during the Holocaust. The award is a full scholarship to attend the program. The recipient also recieves Teuscher chocolates, a reminder of the chocolates Eduard would bring his two granddaughters upon his return from business trips to Switzerland. 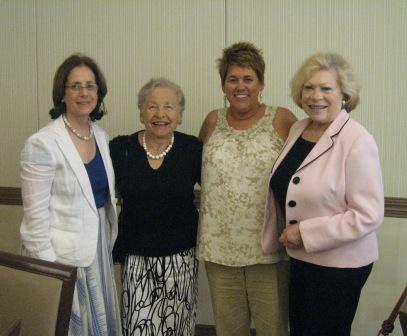 This year’s recipient of the Sonder Award was Terry Beasley from the Midwest Center for Holocaust Education. Kate and Joan presented Terry with the award, and made plans to keep in touch. 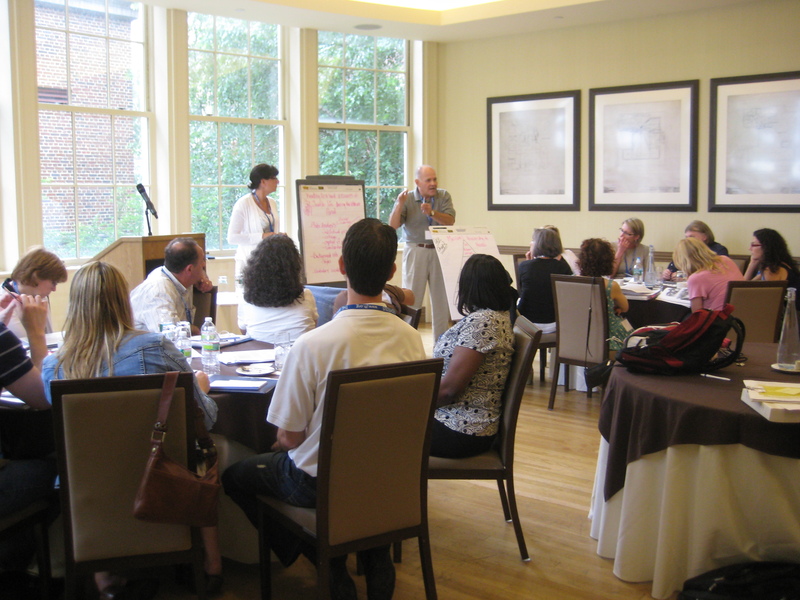 The JFR is able to make the Summer Institute happen in large part because of our donors. 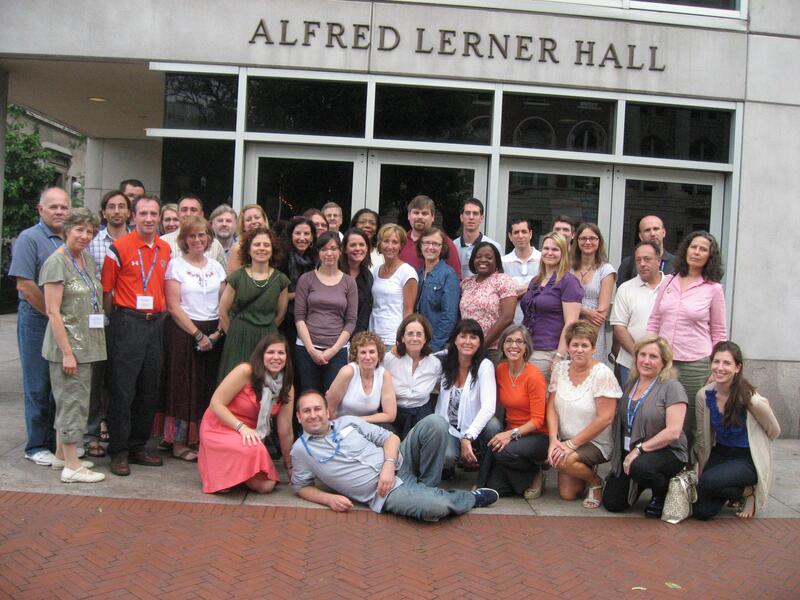 Alfred Lerner was a wonderful donor, who contributed generously to the JFR’s education program, which is why we call each of our teacher participants Lerner Fellows. In order to honor his memory, we take a picture each year in front of Alfred Lerner Hall, the building on Columbia University’s campus named for him. 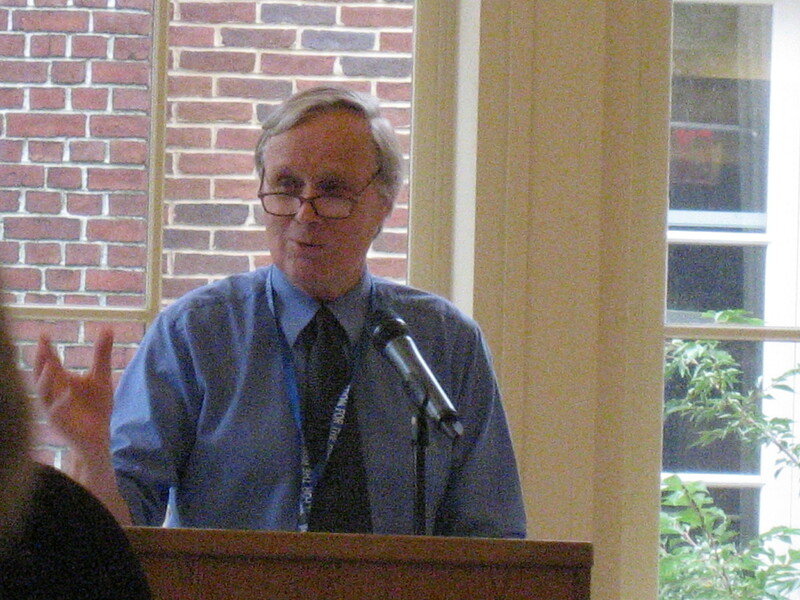 This morning Professor Harry Reicher spoke about law during the Holocaust. Participants learned that in the twelve years of Nazi rule, some 4,000 laws were promulgated. We also learned that Nazis had no respect for the law, however, they used it as a tool for their own advantage. Professor Peter Hayes also lectured this morning – he spoke about how businesses played a critical role in Nazi power and the Final Solution. Professor Hayes’s lecture was revelatory in explaining how the interests of the state crept into the inner-workings of many of Germany’s big companies. 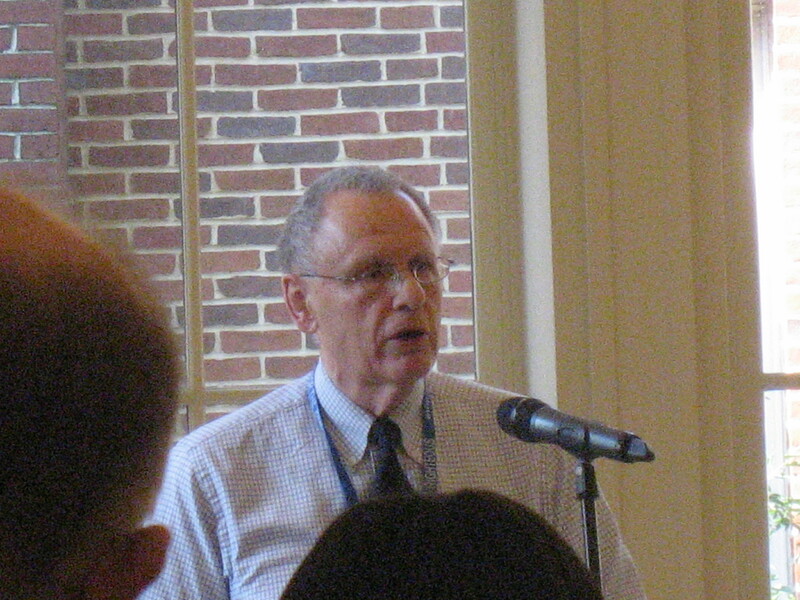 After lunch we heard from Professor Henry Feingold, another mainstay at our Summer Institute for Teachers. Professor Feingold discussed immigration policy during World War II, and talked about the seemingly endless “what ifs” from that time period that, in hindsight, we find ourselves asking. Professor Feingold also reinforced the functionalist sentiment that was touched upon in many other lectures. Functionalists believe that the Holocaust happened as a function of many factors, where intentionalists believe that the Holocaust was more or less inevitable. Our day concluded with Gail Rosenthal, who is the director of the Richard Stockton College Holocaust Resource Center which is one of our Centers of Excellence. She presented the film Daring to Resist, and talked about the importance of using survivor testimony in the classroom. 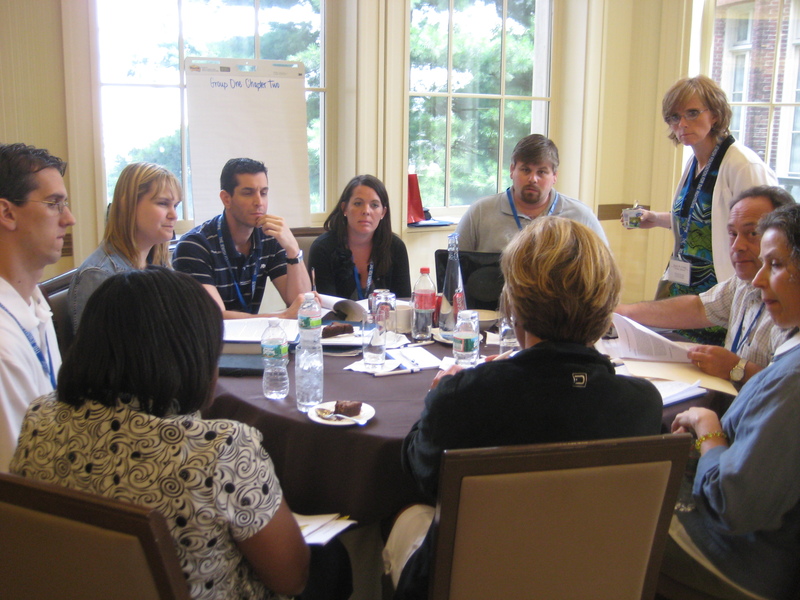 Today began the 2011 Summer Institute for teachers. We are very lucky to have another great group of teachers, who bring a variety of backgrounds and teaching styles to our seminar. 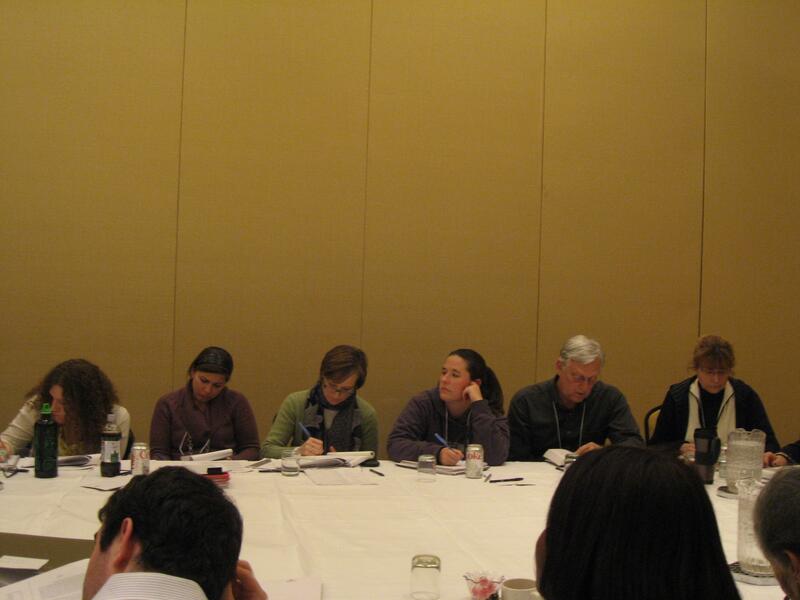 This week will include intense learning and discussion of the many facets of Holocaust studies, and give our Lerner Fellows new ideas on how to teach this complicated topic in the classroom. 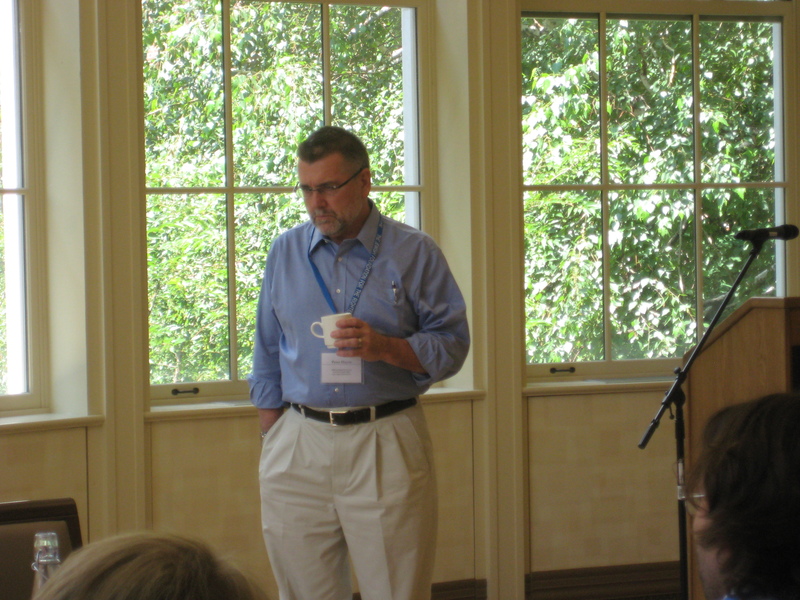 Our first day began with a fantastic lecture from Professor John Roth, who talked about Jews, Christians, and anti-Semitism, a lecture that laid the groundwork for the topics discussed throughout the week. His discussion reinforced the idea that many factors were necessary for the Holocaust to happen, and reminded all of us of Raul Hilberg’s eternal idea that there is no finality to the study of the Holocaust. As in years past we had the pleasure of hearing from Columbia Professor Dr. Volker Berghahn, who discussed the Interwar period in German history. This historical time period is critical to understanding how the Nazis rose to power. 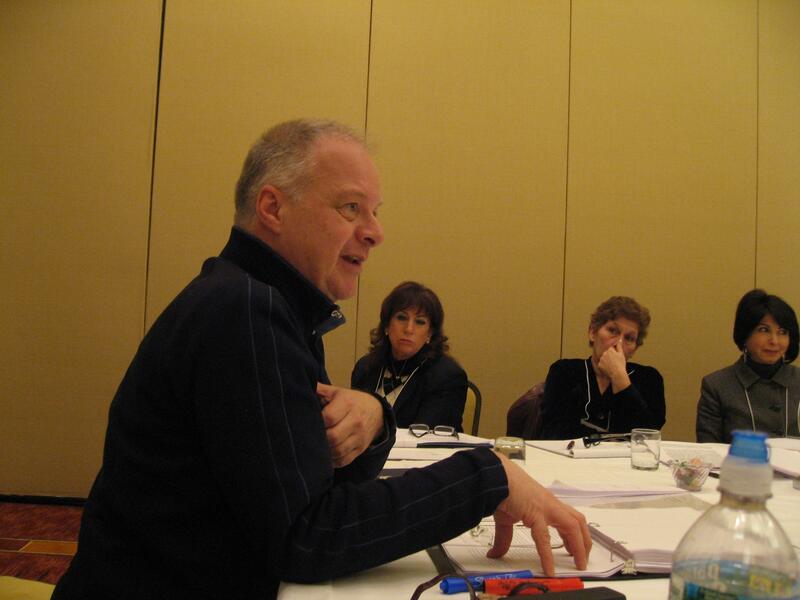 We are so lucky that Professor Berghahn continues to be a mainstay at our Summer Institute. After each lecture, participants broke into discussion groups, where teachers were able to synthesise the lecture and share ideas as to how to teach the subject matter in the classroom. Groups presented to each other, and each group was able to contribute new pedagogical tools and interesting food for thought. 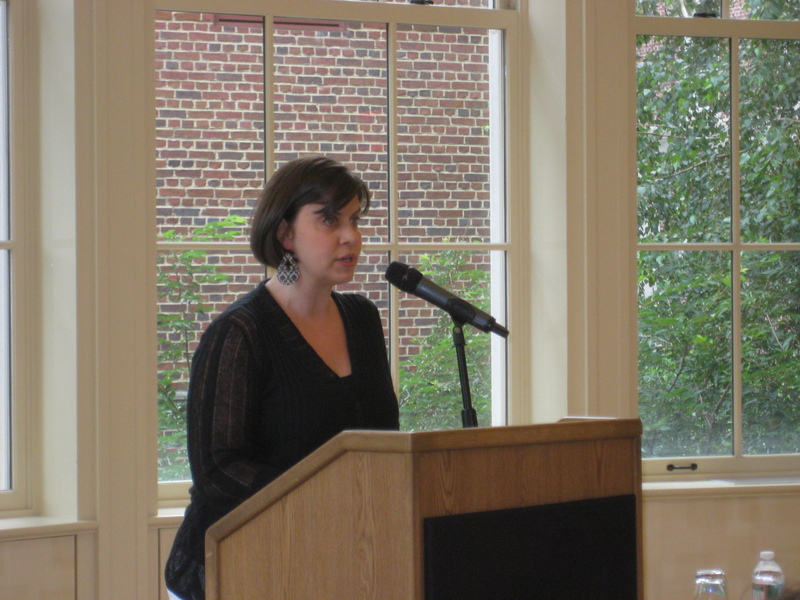 This year we had a new first-day addition: Alexandra Zapruder presented on her book Salvaged Pages, which contains diaries and diary excerpts from Jewish children who were persecuted during the Holocaust. Alexandra discussed how to use her book as a teaching tool in the classroom. Using these diaries can be the key in opening up the discussion of Holocaust to young people, were the Holocaust is accessible to students when understood through the words of age peers. We concluded our first day with an opening dinner at Columbia’s Faculty House Restaurant, where we got a chance to get to know one another on a more personal level. Stay tuned for posts on the Institute! The JFR would like to wish all who celebrate a very Happy Purim! Enjoy, have fun, eat lots, and make noise! If you’d like to send Purim wishes to friends and family consider sending the JFR’s Purim e-card. Click here to access the card. Each year we invite schools from the New York-New Jersey metropolitan area to attend our annual dinner through our New York-New Jersey Schools Dinner Program. Schools bring 8 juniors or seniors who are studying or who have studied the Holocaust. 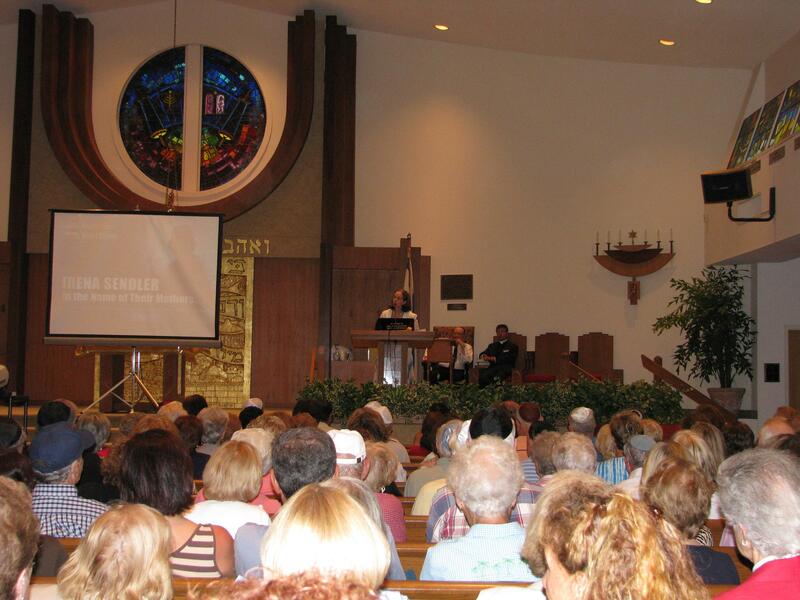 We invite a variety of schools: public and private, Jewish and Catholic day, special needs and charter schools. Students are required to write a brief essay after the dinner, sharing one aspect of their experience that they found moving or insightful. We received outstanding essays from all of our schools. 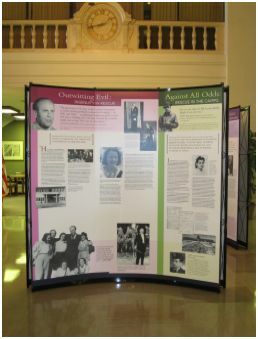 Below are a few excerpts from exceptional essays – their words remind us why it is so important to educate the next generation about the Holocaust in general and rescue in particular. The JFR’s charity knitting project is off to a great start! 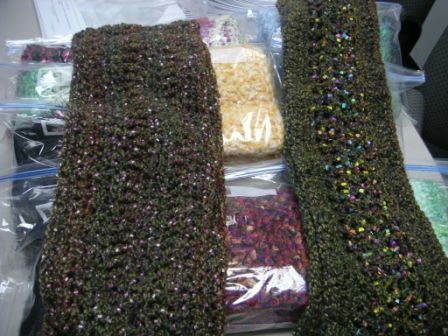 Here are thirteen beautiful, hand-made scarves we recently received. For all you knitters and crocheters out there, participating in the JFR’s charity knitting project entails making scarves for rescuers in Poland, where the JFR has a distribution mechanism. Participants send their scarves to the JFR, and we then distribute them to the rescuers. If you are interested in participating in this project, please contact the JFR. Diretor of Education Kristen Lefebvre and Senior Program Associate in Rescuer Support Agnieszka Perzan with some beautiful scarves. 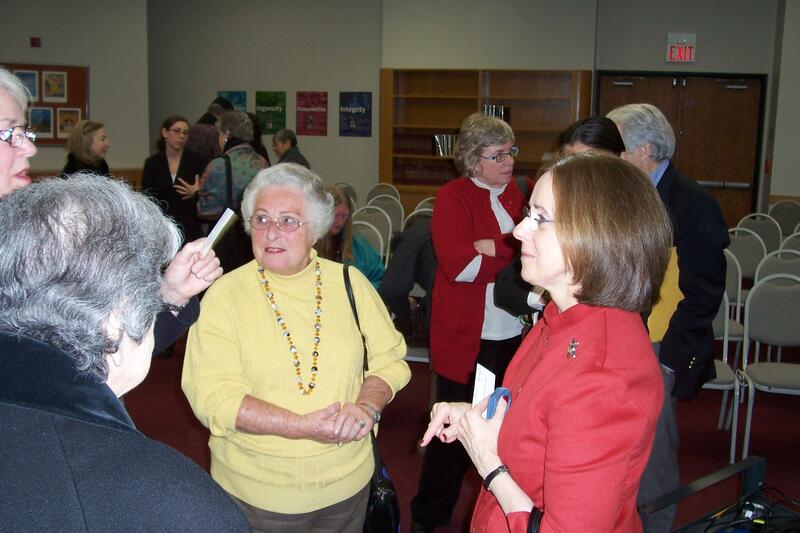 On Tuesday, January 18, 2011 the JFR hosted its annual One-day teacher seminar on the Holocaust at the Union for Reform Judaism in New York City. We had a fantastic group of metro area teachers who spent the day learning from scholars and discussing, in break-out groups, how to teach what they had learned. Teachers listening to the lecture. 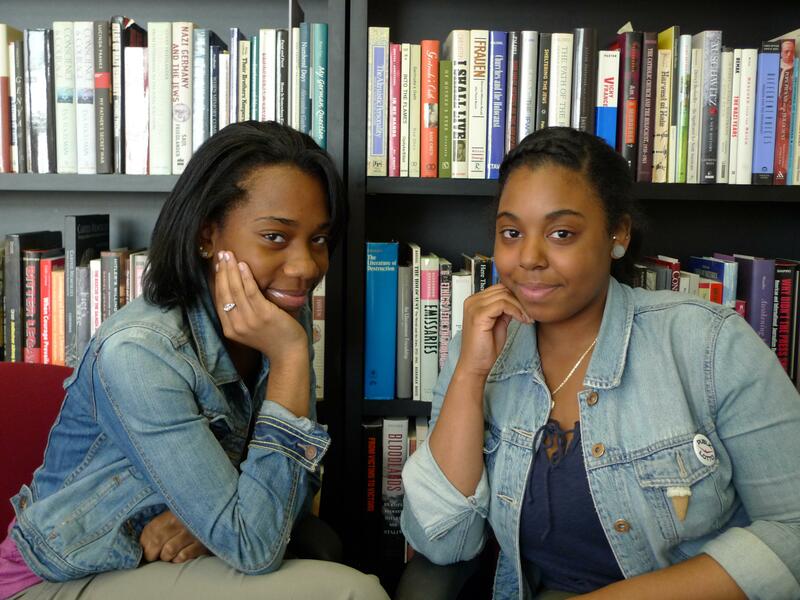 We were fortunate enough to have two New York City scholars come to lecture. Dr. Henry Feingold, Professor Emeritus of history and an expert on Refugee Policy during the Holocaust, lectured about Refugee Policy in the morning. 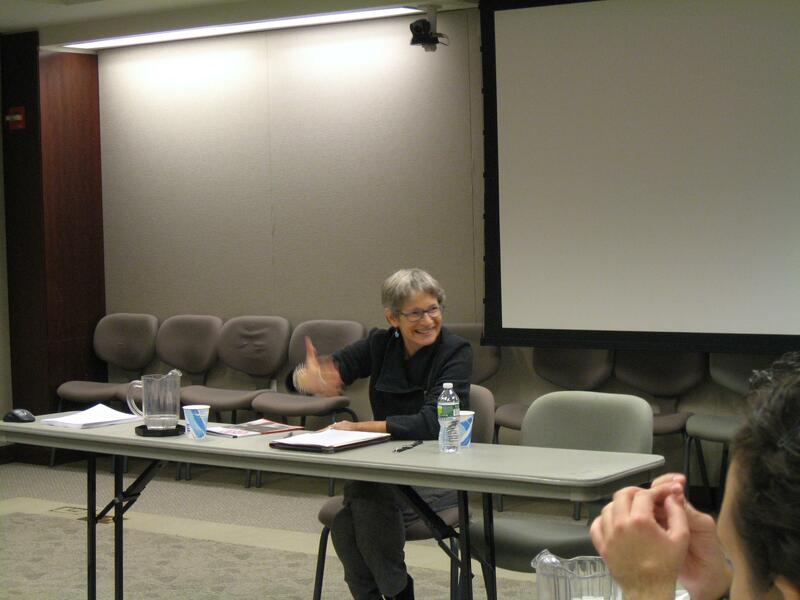 In the afternoon, Dr. Atina Grossman gave a lecture about Jewish life during the Weimar Republic, a topic that is part of her own personal family history. Both lectures were enthralling, and our group of teachers came away with new knowledge about both topics, as well as inspiration for ways to teach the Holocaust in the classroom. 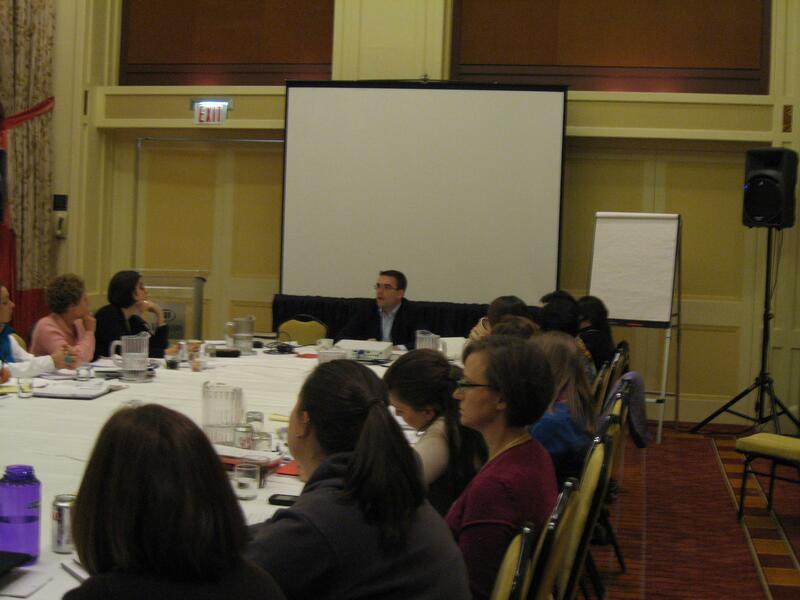 Dr. Grossman answering questions from the teachers. Over the course of Dr. Martin Luther King Jr. weekend, 23 educators, a JFR board member and the JFR Education Department met for the 2011 Advanced Seminar at the Newark Airport Hilton, where we studied, learned and discussed this year’s theme “Youth and the Third Reich” with five outstanding scholars. Each scholar presented a sub-topic of this theme in great depth and helped participants come away with a profound understanding of the subject. 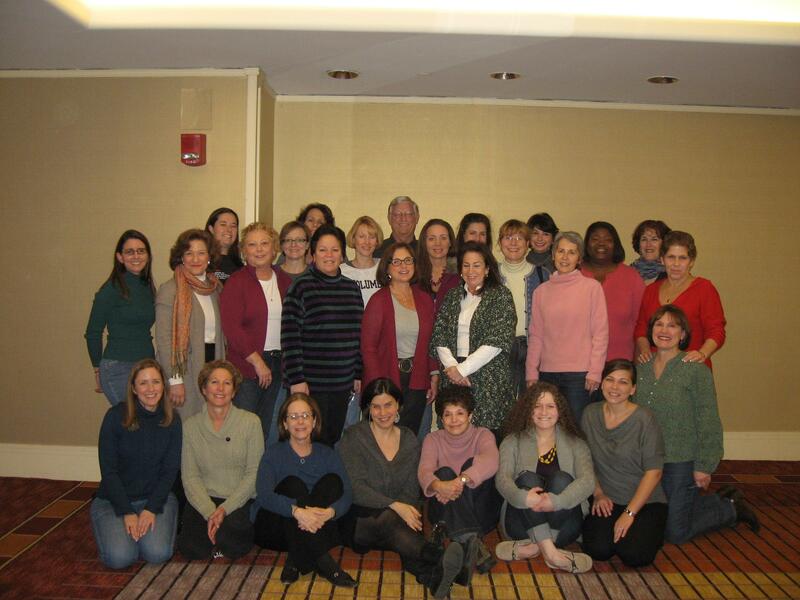 The group of Advanced Seminar 2011 attendees. We began the seminar with Professor Robert Jan van Pelt, who discussed with us the idea of Germany as a young nation, an idea that rose at the beginning of the twentieth century. Robert Jan’s eye-opening discussion conveyed that it was the ideas associated with this youth movement that later propelled National Socialism. 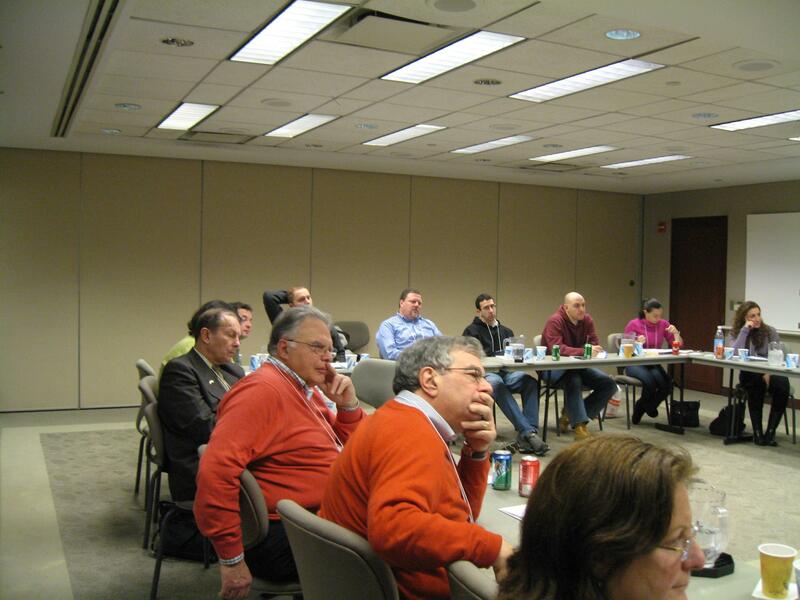 Professor van Pelt lectures as participants soak up knowledge. We also welcomed Alexandra Zapruder, who lead a discussion about her book Salvaged Pages, a compendium that contains the diaries of young people who lived through the Holocaust. She also played for teachers the recent film adaptation of her book, I’m Still Here. Alexandra’s work is particularly valuable for teachers, who can use these two resources as teaching tools. We also learned about the Nazification of the banking industry from Princeton’s Dr. Harold James, as a continuation from last year’s Advanced Seminar. Using one case study of a Jewish banker, Professor James illuminated for us how, gradually, Germany’s banks became impacted and altered by the Third Reich. We also had the pleasure of hosting an international guest scholar, Professor Thomas Weber from the University of Aberdeen in Scotland. Dr. Weber discussed with us his fascinating new book, Hitler’s First War, which addresses Hitler’s time in the German army during World War I, and how this experience influenced him greatly. This discussion tied into the theme of “Youth in the Third Reich”, which Professor James discussed in a second lecture, because Hitler was a part of the young generation, the World War I generation that, we learned, wanted so badly to have a new Germany rise out of the ashes of the old one. 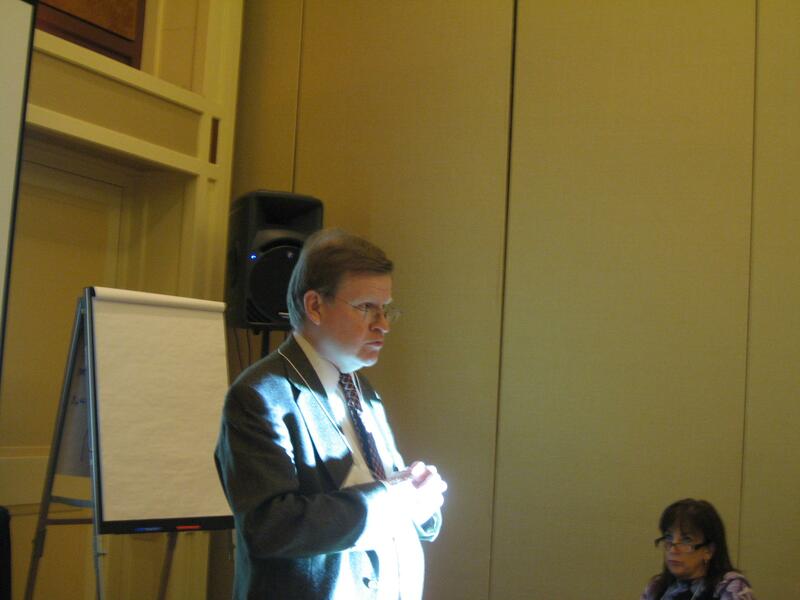 Dr. Thomas Weber engaging with participants. 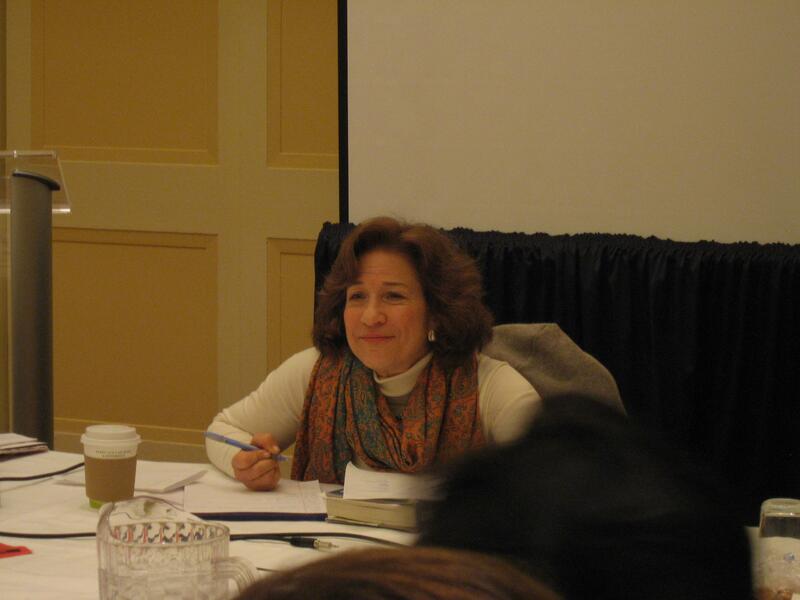 We ended the seminar with Dr. Debórah Dwork, who led a Socratic discussion about her book Children with a Star, which is a cornerstone in Holocaust studies for understanding the child experience during the Holocaust. Participants addressed themes and ideas in the book and also asked her specific questions about choices she made when writing the book. 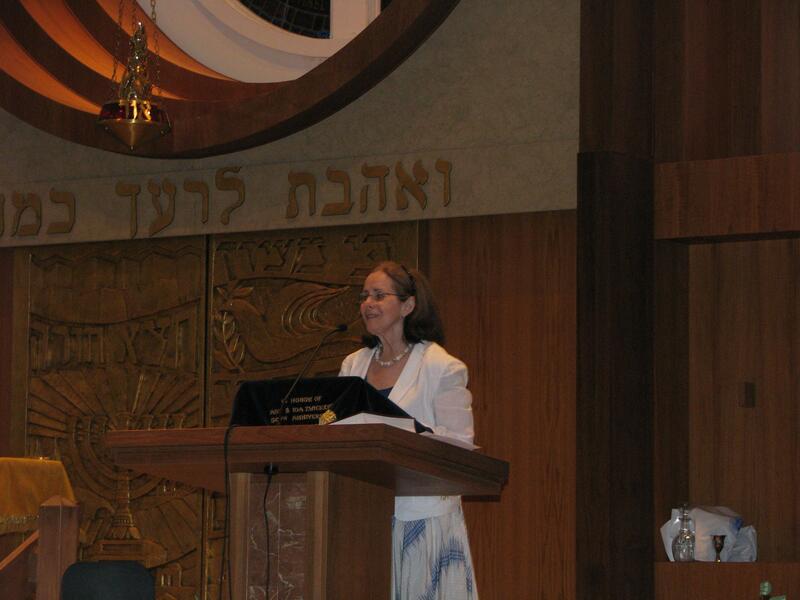 Dr. Dwork, answering questions about her book. Each year the Advanced Seminar is held on Dr. Martin Luther King Jr. weekend because teaching about the lessons of the Holocaust is aligned with Dr. King’s vision. Our teachers come to the Advanced Seminar in order to better educate their students about tolerance and what can happen if hate goes unchecked. The JFR feels that these lessons are in the same spirit of Dr. Martin Luther King Jr.’s legacy. As we learned about this difficult history, we remembered him and the impact he had on making humanity more tolerant. Each year the JFR offers a one-day seminar on the Holocaust for New York City metro area high school English and social studies teachers. This year we will have Professor Henry Feingold (Professor Emeritus, American Jewish History and Holocaust Studies) and Professor Atina Grossman (Professor of History, The Cooper Union) speak about “Refugee Policy and Jewish Life in the Weimar Republic”. 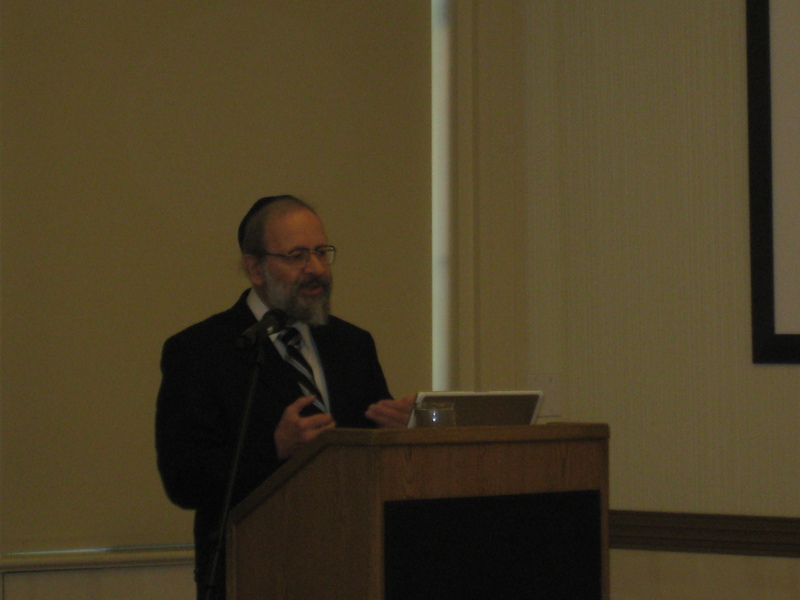 This year’s seminar will be held Tuesday, January 18, 2011 from 8:30 am to 3:30 pm at the Union for Reform Judaism. The program is entirely free of charge, and a kosher lunch will be provided. There are still spots open for this event. Registration is required. To register please visit www.jfr.org/seminar. For more information please contact Director of Education Kristen Lefebvre at 212-727-9955 or klefebvre@jfr.org. Above: A girl burns banknotes to use as fuel. 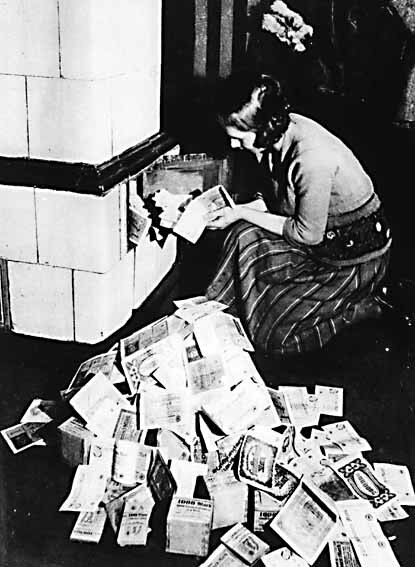 With rampant inflation during the Weimar Republic, such money was worthless for purchasing goods. We at the JFR want to wish you a happy and healthy new year as well! Last week I visited one of our newest Holocaust Centers of Excellence: The Center for Holocaust & Humanity Education in Cincinnati, Ohio. During my three-day visit I traveled around the region, speaking at the center, visiting with groups of students from the middle school through college level, and speaking to educators and community leaders. I also had the privilege of seeing each one of our Cincinnati Lerner Fellows, and was able to speak to Rosie Sansalone Alway’s 8th grade literature class. It was very gratifying to share my knowledge of rescue during the Holocaust and interesting to see and hear about what our Lerner Fellows in Ohio are doing to teach the Holocaust to their students. Answering questions after giving a presentation for a public program at the center.